Obstacle courses are are a great way to get kids active. 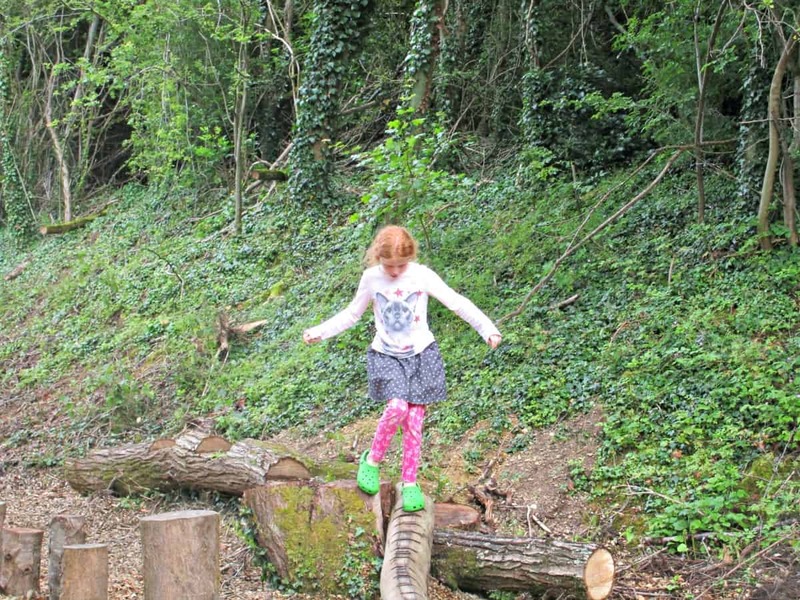 Climbing, balancing, and running around madly always seems to appeal to kids, even if they are not so keen on conventional sports. 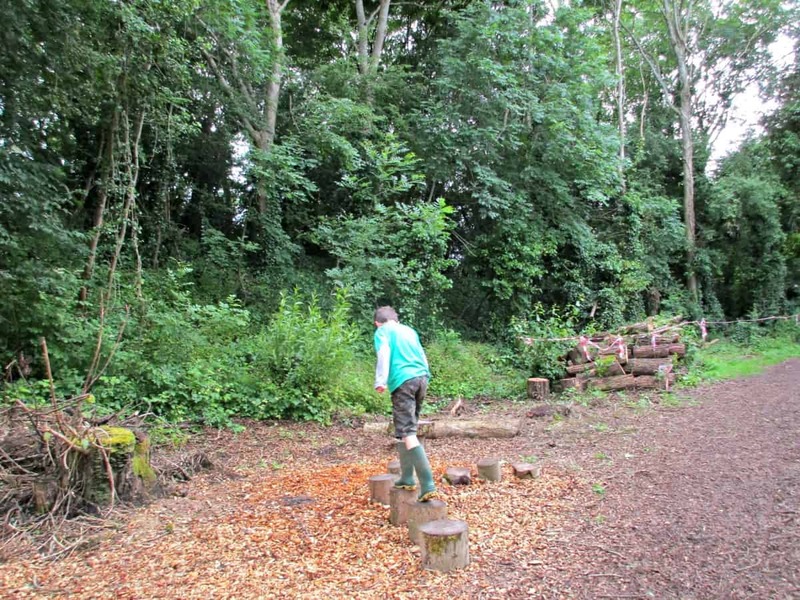 We were delighted when this woodland obstacle course appeared a few weeks ago at Neigh Bridge Country Park. Every time we walk there now, the kids have a few goes on it. Even the dog loves it, and pops over the jumps! 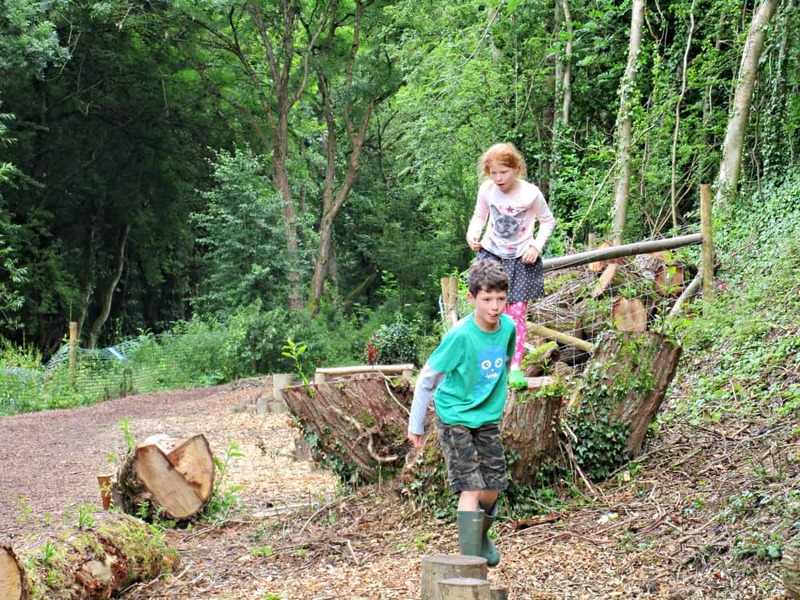 Many more of these sort of facilities are appearing, as people become more aware of the importance of spontaneous play in outdoor and wild spaces. But even if you cant find one near you, there’s nothing stopping you from making up your own routes around wild spaces. 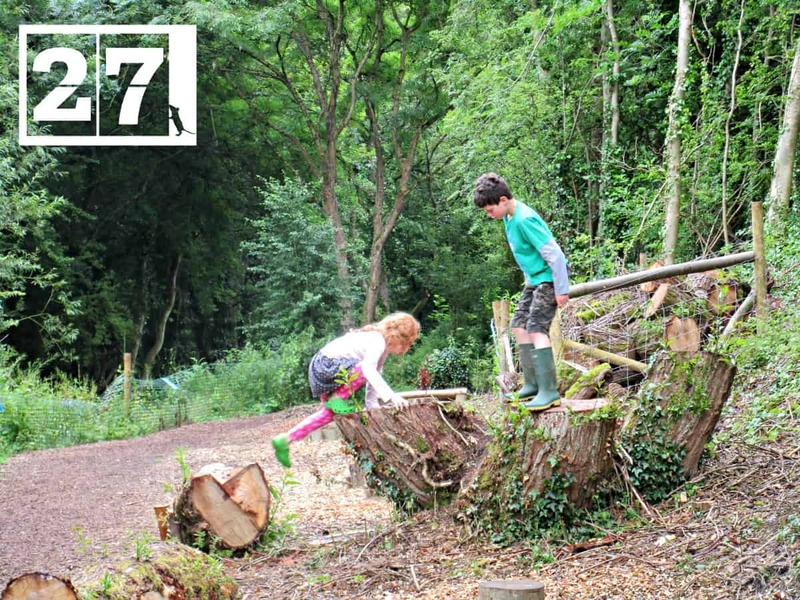 My favourite trick when the kids have too much energy is to get them to race the dog to a distant tree and back, and if there’s a couple of logs to climb over, or a stream to splash through on route, so much the better! 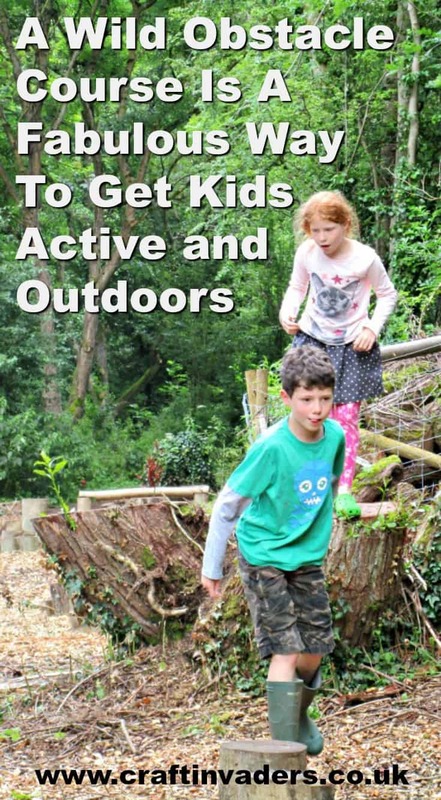 You’ll find lots more ideas for getting kids interreacting with nature and getting outside here.